MISSISSAUGA, ON, Jan. 9, 2015 /CNW/ - Subaru Canada, Inc. (SCI) is excited to announce that seasoned veterans Antoine L'Estage and Alan Ockwell will join Subaru Rally Team Canada (SRTC) in their quest for their 11th Canadian Rally Championship for Marques during the 2015 Canadian Rally Championship (CRC) season. Hot off the heels of a highly successful 2014 CRC season, L'Estage created history by becoming the first driver to win every CRC event in one year and capture the driver's championship, while Alan Ockwell, who co-drove with L'Estage from the second CRC event forward, won the co-driver title for 2014. The extremely experienced pairing will be behind the wheel of the SRTC 2015 Subaru WRX STI with anticipation of being the quickest car, driver and team to ever compete in the CRC. 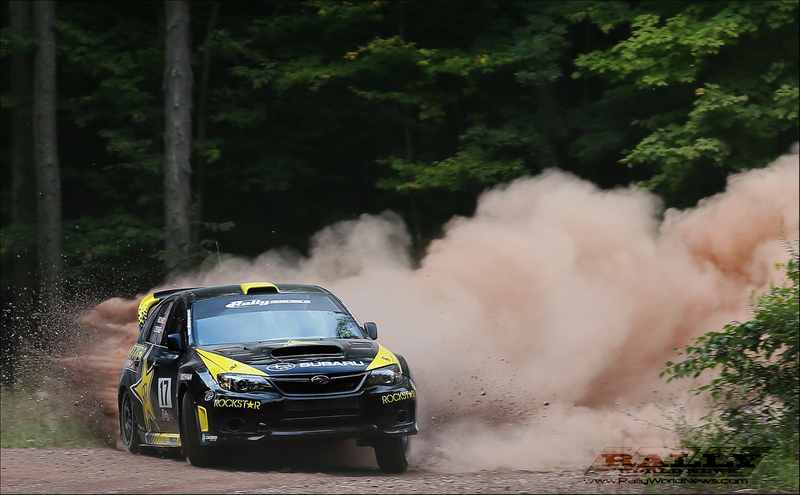 Subaru was awarded the North American Rally Cup for Marques in 2014 from the combined results of SRTC in CRC events and Subaru Rally Team USA in the Rally America Championship. L'Estage is a 7-time CRC driver champion, while Ockwell is a 3-time CRC co-driver champion. L'Estage is also a 7-time winner of the North American Rally Cup. Ockwell has won two other CRC co-driver titles with SRTC in 2008 and 2009, making his return to SRTC reminiscent of that success. "I'm delighted to be given such an opportunity," said Antoine L'Estage. "I cannot wait to start working with Subaru Rally Team Canada and Rocket Rally Racing." Subaru Rally Team Canada will continue to be managed in cooperation with Rocket Rally Racing (RRR) and Patrick Richard, based out of Squamish, BC, for the 2015 season. The SRTC 2015 Subaru WRX STI was developed from the ground up at the RRR facility using state of the art equipment and materials. "Rocket Rally is proud to have enjoyed so much success with Subaru Rally Team Canada over the years and I am happy that Antoine and Alan will join us to go after another manufacturer championship this season," said Patrick Richard. "Between Antoine and myself, we have won 11 of the last 12 driver championships in Canada. With this strong car, driver and team combination for 2015 we have set ambitious goals for ourselves - we hope to be breaking stage records everywhere we go." The 2015 CRC season kicks off on February 6th at the Rallye Perce-Neige Maniwaki, in Maniwaki, QC, marking the 50th anniversary of the event.